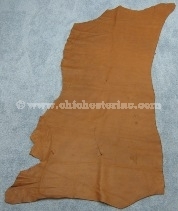 The right photo shows the front (leather) side. 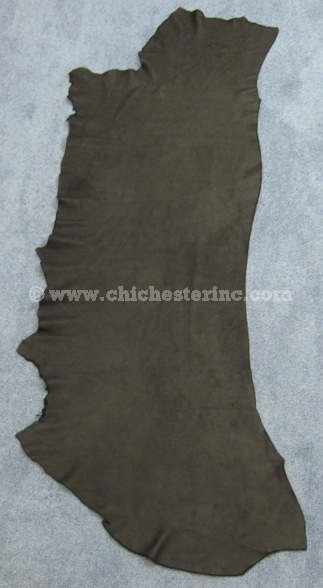 The left one shows the back (suede) side. The moose hide leather is sold by the hide. 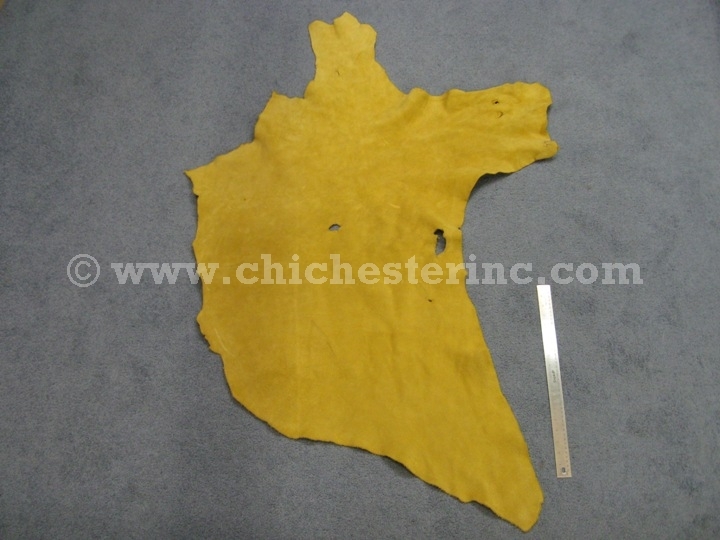 We do not cut hides to specific dimensions. In general, this leather is thicker and more gold in color than the brain-tanned smoked moosehide leather. 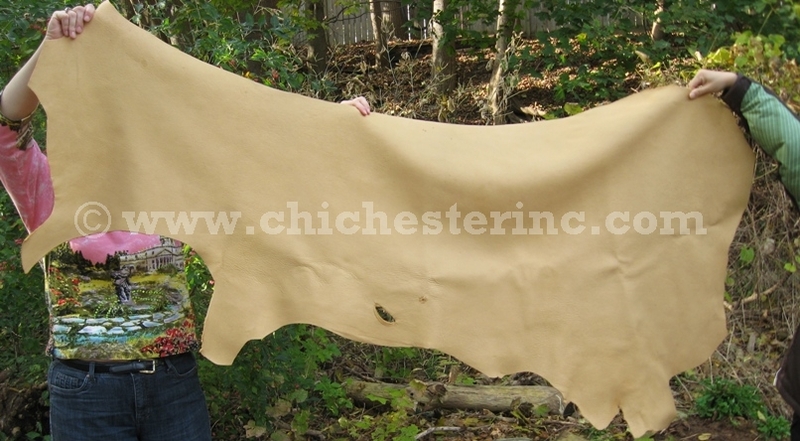 If you are making your own moccasins, you will need at least five square feet of leather. 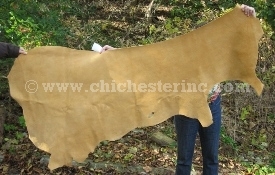 Please let us know if you need a smaller or larger hide and we will try to find the closest size for you. See below for grading notes and pictures. 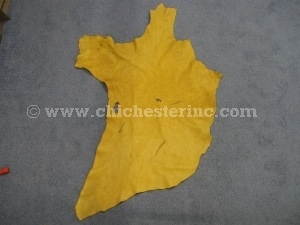 We recommend using needles that are specifically used for leather, such as our Glovers' Needles. 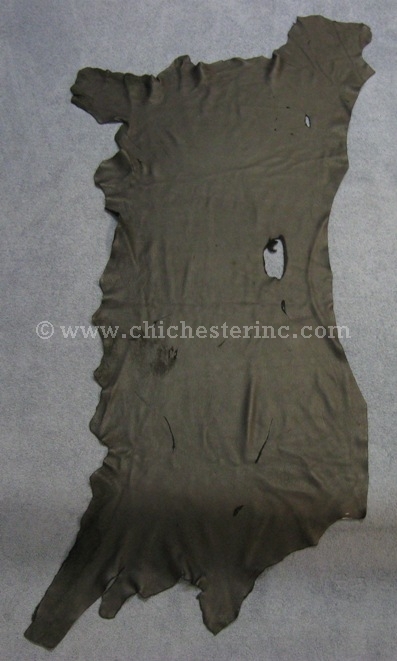 We have a limited number of smaller #1 hides. 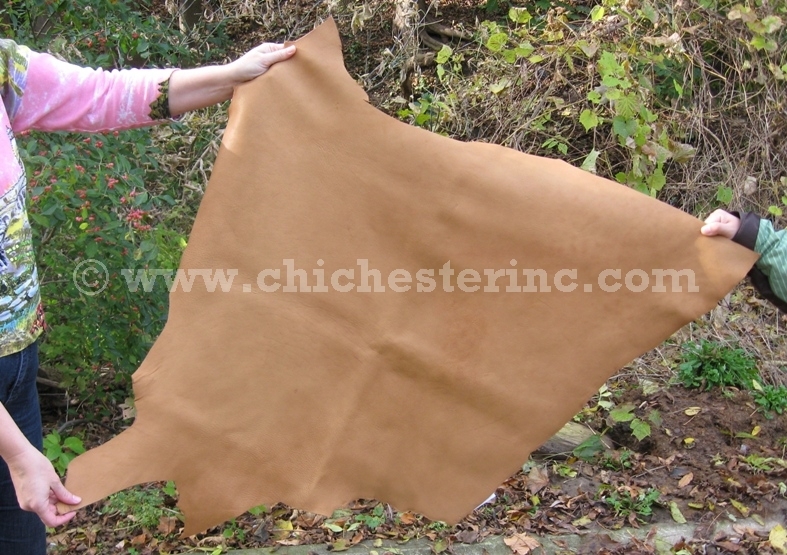 These are ideal for making moccasins and leather bags. One random dark chocolate quarter hide was 6.5 square feet, and measured 52" by 26", weighing 1.50 lbs. See the back view and a size comparison with an 18" long ruler. One random dark chocolate side hide was 14 square feet, and measured 59" by 27.25", weighing 3.32 lbs. One random gold cream side hide was 12.75 square feet and measured 36" by 70" at its widest point and 16" by 67.5" at its narrowest point. A second hide was 18 square feet and measured 38.5" by 77" at its widest point and 27" by 71.5" at its narrowest point. 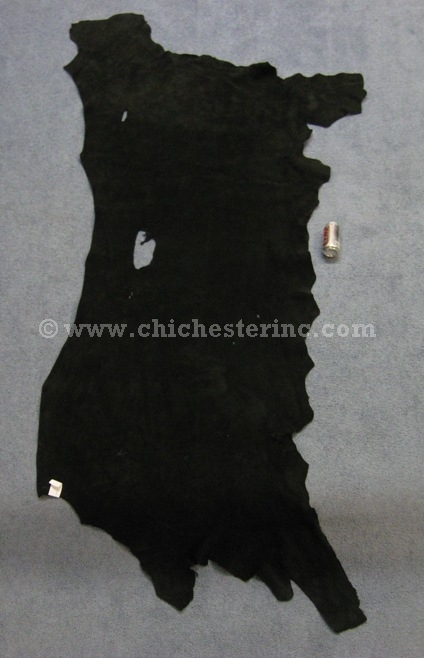 The full hides vary in size averaging about 10.8 square feet but can be as large as 18 sq. ft. These skins are not flawless, but are not junk either. Expect some holes and/or flaws. If you can work around these, this skin is for you. If not, stick to a true garment grade. Currently available in black and tobacco colors. Each hide is marked with its size. Tannery run is a mix of grades. The moose hide leather rejects have problems with the enamel rubbed in areas. They are ideal for use in making moccasins. 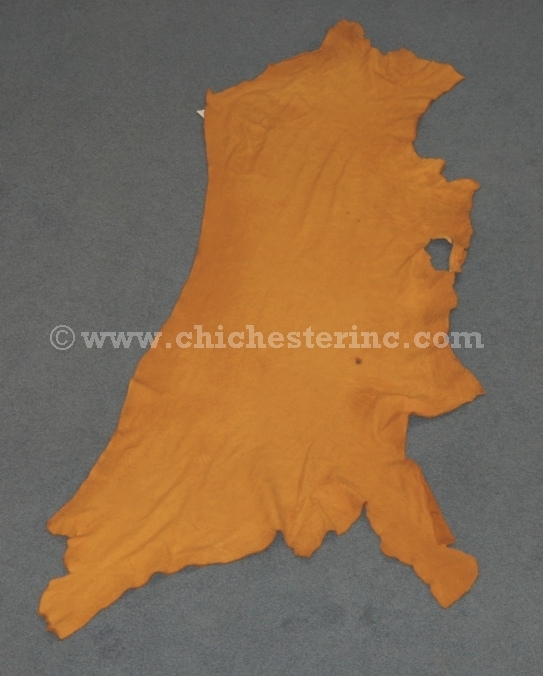 The skins are prairie gold or cream in color, just like our moose hide moccasins. 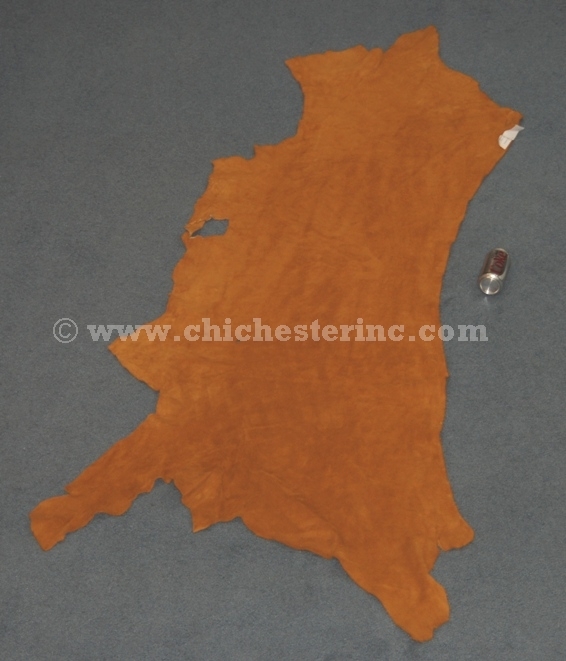 Click HERE for a picture of the moose hide moccasins to get a better idea of the color. The moose split is decent gold suede leather on both sides. 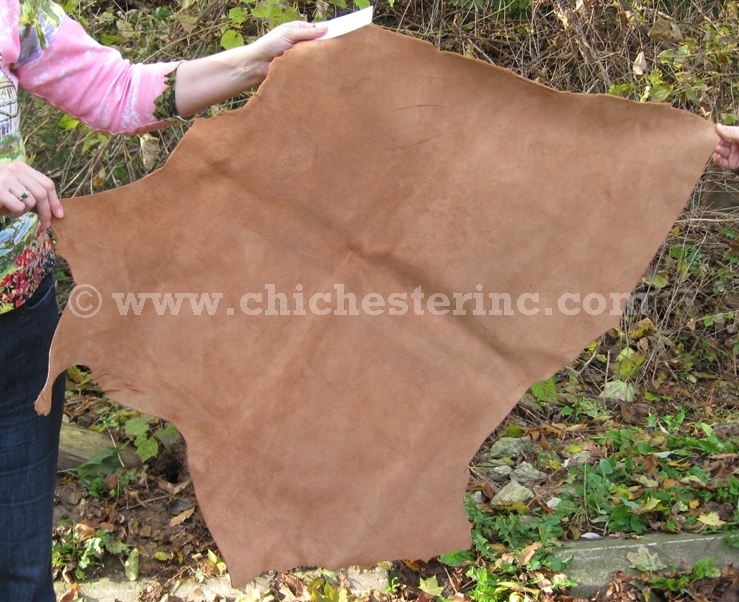 This is good for making moccasins and leather bags.